Eastern Vitality is an Acupuncture & Chinese Medicine practice that specialises in pregnancy care, fertility and labour induction. We come highly recommended by midwives all over the Eastern suburbs in Victoria, caring for the health and well-being of pregnant women, and naturally inducing pregnant women one at a time. If Chris is not helping pregnant women feel better, he would be helping professional athletes feel better as the team Acupuncturist of the Melbourne Rebels Rugby Club. Current Hours of operation: Monday-Saturday 9-6pm, after hours by appointment only. Being pregnant is such an amazing time. The changes you go through in your heart, mind and body. The morning sickness/ headaches. Well worth having something to remember it by. Pregnant belly casts are best done between 34-38 weeks. It is a simple and pain free way of capturing the shape of your bump for years of treasuring to come. We also offer gift vouchers for that special friend or family member. 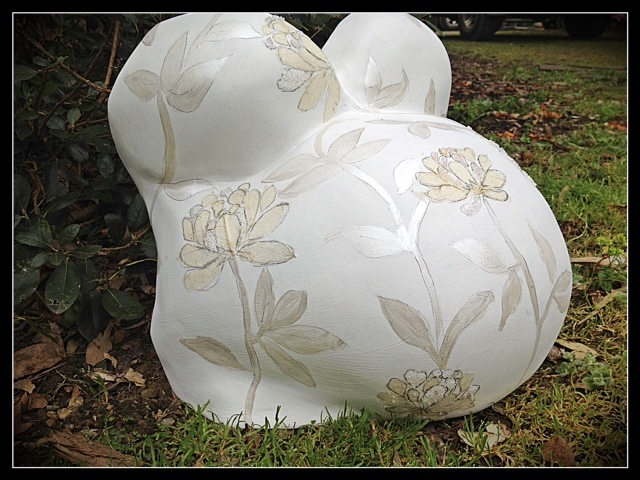 See images of our belly casts on our bella belly designs Facebook page. Phone 0421 351583 for all enquiries and bookings. Premium Breast Pump Hire is a professional rental service located in Croydon VIC. It is owned and operated by a registered midwife who has over 7 years’ experience in assisting women to breastfeed and express breast milk. We recognise that breast milk contains all the nutrients that a baby needs during the first 6 months of life; and believe that all babies would benefit from being given breast milk, along with other foods, up to the age of two and beyond. Generally, breastfeeding is the most convenient way to provide your baby with breast milk. However, there are many reasons why a mother may not be able to do this. For these women, having access to a professional hospital grade electric breast pump is vital. Premium Breast Pump Hire has three different breast pumps available to mothers for either SHORT (minimum of 7 days) or LONG term hire. A celebrant should always respect, reflect and appreciate your very own individual wishes for how your special baby naming day should be. You are the parents after all! I can assist with poems, readings, format and basically anything you desire. I can style your baby naming day ceremony according to your wishes with a professional etiquette, total interaction but with a sense of humour too. Children don’t always conform to ceremonies…..
YOU tell me want you want – I’m just going with the flow for your lovely day. Your children and your family all share this day – let’s make it memorable for all of you, as the more love our children receive, the more love will be returned to you all. Grandparents, honorary godparents and carers – you all deserve medals. The joy of the happy birth of your child has begun or maybe even completed your family. Make it memorable. I have 4 dearly loved grandchildren within a happy family structure, so appreciate the value of guidance, nurturing and growth. Allow me to enjoy that naming day with you too. Pregnancy and Pediatric care, ADHD, Allergies, Asthma, Auto-accidents, Back Pain, Bedwetting, Carpal tunnel, Colic, Ear infections, fibromyalgia, Frozen Shoulder, Headaches, Hormonal imbalance, Infertility Osteoarthritis, Osteoporosis, Pinched nerve, Planter Fasciitis, PMS, Sciatica, Slipped Disc, Shoulder Pain, Stress, Tennis Elbow, Whiplash, Wellness and Many more. Would you know what to do if your baby or child was seriously ill or injured? KidzAid – proudly brought to you by critical care nurses straight from the emergency departments, paediatric wards and intensive care units of some of Melbourne’s biggest public teaching hospitals. KidzAid offer a variety of paediatric first aid courses. Our popular short courses have been specifically designed for parents, expecting parents, grandparents, family members, teachers and anyone responsible for the care and safety of babies and young children. We are a mobile service, offering sessions in the privacy of your own home, or community venues – 24/7. Learn life saving skills with KidzAid. Knowledge = Power!! Check website for workshop details. Mishfit philosophy mishfit is a personal training service that educates and provides safe exercise care to women who are pregnant or post-natal. mishfit warmly welcomes all who don’t enjoy the gym environment, and supports those who are struggling with their weight loss goals. mishfit caters specifically to women with pelvic instability, pelvic floor issues, diastasis (DRAM) and prolapses. We offer several training options for pregnant and post-natal women: mishfit mothers and one on one or buddy personal training. Thea Terry pregnant & post-natal exercise specialist. Birth from Within offers HypnoBirthing childbirth education classes. These are held in a peaceful location in Croydon, VIC. HypnoBirthing is ideal for couples who are fearful or anxious about childbirth, or those who have had a previous negative birth experience. Each HypnoBirthing class runs for 5 x 2.5hr sessions. These are generally held on a Monday night from 7-9.30pm, but alternate days/times can be arranged in advance. – additional ‘fear release’ or ‘breech turn’ script if required. Generally, the pregnant woman’s partner, or main labour support person, attends the class with her. One additional support person may be accommodated depending on the size of the class. Massage when you’re pregnant can be a wonderful way to ease an aching body and relax. It can also pep up your mood and get those feel-good, pain relieving endorphins flowing around your body, leaving you relaxed and refreshed. A facial treatment with beautiful massage elements is a nice alternative to a full body massage, where precautions are suggested in the first trimester. Waxing, manicures, pedicures are safe to continue throughout your whole pregnancy. There’s no need to stop enjoying the treatments you loved before being pregnant. Please see the website for full treatment descriptions, there is a special tab just for prenatal care. Massage in the Valley & Ranges provides a team of professional and experienced therapists for massage as well as beauty services either at our home studio in Lilydale or to mobile clients at their home or holiday location. We cover the Yarra Valley, Dandenong Ranges and the Eastern suburbs of Melbourne. We provide everything required for absolute pampering! Some popular services other than massage, are our Nugari Revival Package as well as our Tempting Trio which are outlined on our website Facials, manicures and pedicures are also so beneficial using products free from any potentially harmful ingredients. We also have a range of non toxic personal care products suitable for mum and bub alike. 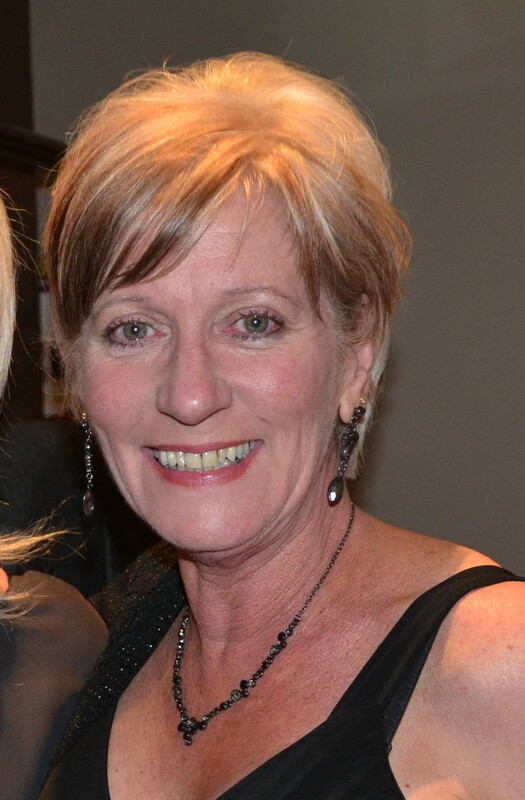 Anne Digby is a highly qualified and experienced Naturopath, Herbalist, Midwife and Specialist in Women’s Health. Many of Melbourne’s leading gynaecologists refer their patients to her for natural therapy to assist with fertility, IVF, hormone balance, PCOS and endometriosis. Osteopathy and Babies Cranial Osteopathy is a gentle, non manipulative Osteopathic technique especially suitable for treatment of newborn babies and toddlers. Treatment allows the baby to function and develop without restriction, in a balanced and happy manner. During labour, contractile stress is applied as the baby progresses normally through the birth canal. Strain patterns may occur, especially if there has been a difficult delivery, assisted delivery (forceps) or a breech delivery. Soft tissue tension and restriction in the cranial bones, neck and upper back may result. Treatment aims to release this tension and restriction and stimulate the babies’ inherent self healing mechanisms. Osteopathic treatment can help to prevent chronic problems developing later in life, allowing your child to achieve optimal health. Osteopathy and Pregnancy and birth places stress on a women’s body, stretching ligaments and joints. Treatment by an osteopath can help restore the body’s balance, removing tension and helping prevent or manage a wide range of pre and post natal conditions. Common conditions treated by osteopaths include coccyx and sacroiliac joint pain, pubic symphysis joint pain, back pain from carrying heavy loads like capsules and prams and neck & shoulder pain resulting from incorrect posture during breastfeeding. I’m a holistic physiotherapist who likes treating the body as a whole. I have been specialized in treating women during their pregnancy and their recovery period after birth for over 8 years. Having done my studies and extended training both in France and Australia, I combine both countries’ approach to my treatment whilst adding a yoga influence. Pelvic girdle pain, back pain, diastasis recti management (separation on abdominal muscles), digestion difficulties, carpal tunnel syndrome as well as pelvic floor assessment and more. I also offer a prevention program and education sessions (see my website for more information). I believe the after birth period is a time when a mother turns a new page and makes a new start. My treatment and my prevention program continue during the post natal period – including similar conditions as during pregnancy but also encompass incontinence and prolapse issues. I also treat women in general (non-birth-related) who have chronic conditions using the same holistic approach. Happy Baby Happy Mum Postnatal Services specialises in support, guidance and assistance in sleep/settling, breastfeeding/feeding and all general infant care in the comfort of your own home. 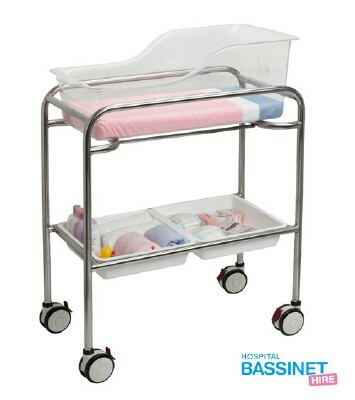 It is owned and operated by a qualified and registered maternal and child health nurse, registered midwife who has over 19 years combined professional experience. A home visit enables certain techniques to be shown which will help guide you when you are caring for your baby. A personalised step by step approach will be supplied and age appropriate routines/patterns and hands on practical demonstrations will be provided. Happy Baby Happy Mum Postnatal Services understands that whether it’s your first or forth baby, every baby is different. Don’t delay seeking help or support. It may only take one suggestion or one tiny bit of advice that makes the biggest difference. So whether you are needing help with your baby’s sleep, feeding and/or behaviour, Wendy is here to help! Saturday 9 am til 2 pm. * You will always be encouraged to listen to your own body and rest if you need to. This weekly yoga class helps you have a healthier, happier and more comfortable pregnancy. Strengthen, stretch and support your body to cope with the physical and emotional demands of pregnancy and child birth. Get ready for something wonderful. Prepare your body and mind for child birth with meditation and visualisation so that you can more effectively manage anxiety, pain and discomfort leading up to and during child birth and approach this special time with confidence and ease. Prenatal Yoga Classes with Larissa Haramis are held on Saturdays 8:45-10am and 10:15-11:30 at Pelvic Strength Physiotherapy Croydon, 293 Dorset Rd. Croydon. Classes are weekly and ongoing. Five class Pass $120. Limit 7 students per class – book now to reserve your place. Visit website or call for more info. Larissa is a registered Yoga Australia senior level yoga teacher. She has taught for over 15 years, and has specialised training in Prenatal and postnatal yoga teaching. She is a mother of two beautiful boys. A beautiful place to experience yoga and meditation in the comfort of a modern, contemporary studio in the quiet back road of Wonga Park. At Ulysses Natural Healing Centre we follow the Hatha Yoga Style. Our focus is on postures, breathing techniques, visualisations, relaxation and meditation for women, men, teens, prenatal and post natal to help you on your journey to relaxation and well being. Are small (8-10) for your individual needs and attention. BOOKING IS ESSENTIAL. To have your pregnancy related business, that is located in Melbourne’s Eastern Suburbs included in our Breith Recommends directory, please contact Jennifer via our CONTACT US page.